We, the three founders of Repurposed Rose, all met in college while studying Industrial Engineering together at CSU East Bay. So naturally we were thrilled when the school found out about our organization and wanted to write and article about Repurposed Rose and it's three Alumni founders. We weren't sure what to expect and trying to get the photo just right for what they had envisioned was quite entertaining but we are very pleased with the end result. Corrie, stop giggling and try to look serious! Repurposed Rose will be holding it inaugural fundraising event at Bronco Billy's Pizza Palace on Friday, December 9, 2016 from 6pm to 9pm. Bring your family and friends to help us raise funds to buy critical supplies needed in order to support our daily operations. There will be a raffle for some great prizes and games will be available for all ages. Bronco Billy's will donate a portion of the proceeds from food purchases made by our guests that present flyer upon purchase. Please let us know your coming by completing the form below! Don't forget to bring your flyer! Thank you! We look forward to seeing you there. Don't forget to print your flyer and bring it with you. September was a whirlwind of activity for Repurposed Rose. 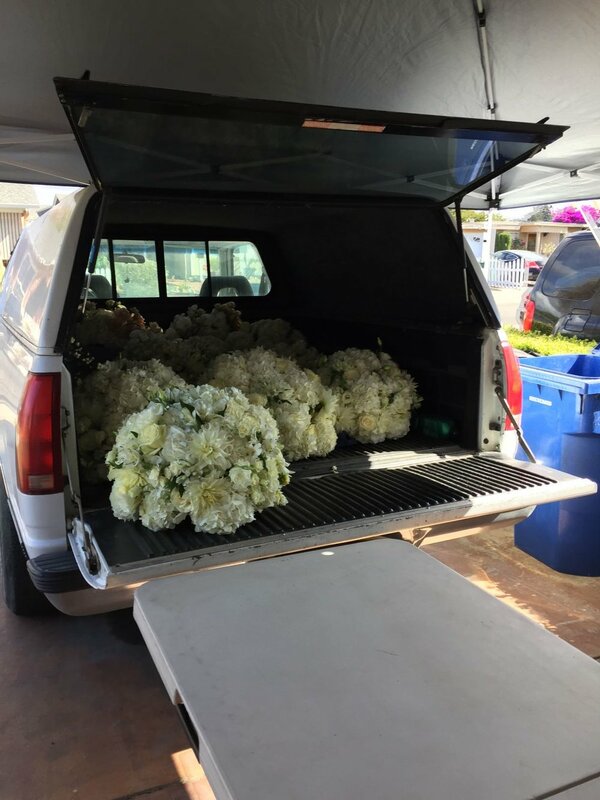 We received confirmation of our 501 (c)(3) status, went live with our website, received our first 3 floral donations and made contact with some great volunteers and it's only the beginning. We are expanding rapidly and making new industry contacts on a daily basis. We are constantly reminded of how rewarding the long hours and hard work are, especially when we make special connections with local residents. While delivering in San Jose recently, we met a gentleman that was so excited to receive the flowers. He told us that he used to be a gardener so we gave him some extra special flowers to put in his hat for the day. Encounters like this warm our hearts and keep us hungry to deliver more!